The Federal Writers Project was created in 1935 as part of the United States Works Progress Administration to provide employment for historians, teachers, writers, librarians, and other white-collar workers. Directed by journalist and theatrical producer Henry Alsberg and later by John D. Newsome, the Federal Writers Project compiled local histories, oral histories, ethnographies, children’s books, and other works. 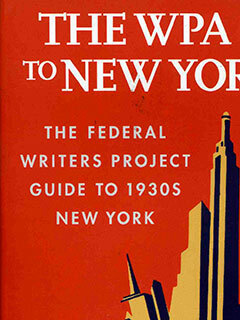 Their well-known American Guide series includes The WPA Guide to New York City (The New Press).